In the world of autism, Temple Grandin is a rock star. 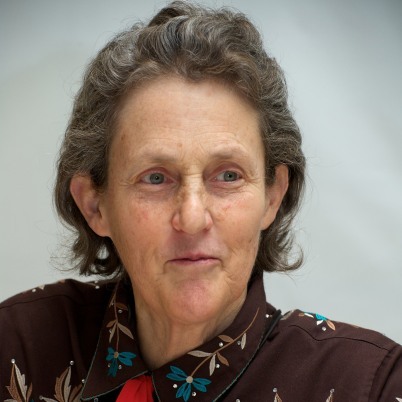 Although she didn’t speak until age 4 and was bullied because of autism all through school, Grandin grew up to earn a Ph.D., change the livestock handling industry, become a professor at Colorado State University, and be the subject of a popular 2010 movie, Temple Grandin. Speaking at the annual MCEC (Michigan Council for Exceptional Children) conference in Grand Rapids, Mich., Grandin had a lot to say about special needs issues, including perceptual differences, expectations, discipline, teaching tips, and providing opportunities for success for special needs kids. Regardless of a child’s problem, Temple urged parents and teachers to encourage special needs kids to stretch and progress, and not let them become recluses or adopt a “handicapped mentality.” She warned that too many kids today aren’t developing social skills because they spend hours in front of a screen. Grandin said it helped her to be drilled in social skills such as turn-taking, being on time, doing family activities (including ones she disliked), serving as hostess at family parties, and saying “please” and “thank you.” Other important skills are shaking hands, using eye contact when meeting people, ordering food in restaurants, table manners, proper grooming, and doing household chores. Grandin believes that special needs kids should have employment. As a teen, Grandin took a job mucking out stalls, which led to other opportunities important to her growth. Don’t say or shout NO, just correct calmly. Grandin stressed how important it is to be very direct but calm. Stretch the child just outside his or her comfort zone. 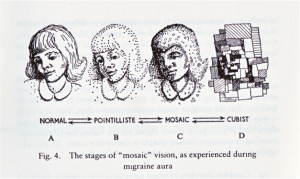 Pushing too hard causes sensory overload and no progress. Create opportunities for the child to use language. Never have sudden surprises. This causes fright and tantrums. Never threaten with a punishment when the child is having a meltdown. Wait until he or she calms down. Grandin suggested some teaching interventions. Stretch out and enunciate consonants when speaking to the child. Let the child swing when speaking. Put an incandescent light near the desk. Block fluorescent lights with a hat. Use a laptop or tablet computer. Use grey, tan or pastel-colored paper instead of white. This may help words appear more stable on the page. Give the child extra time to respond to questions. If the answer doesn’t seem to make sense, ask why it was given. A “wrong” answer may have logical reasoning. Try weighted vests, 20 minutes on, then 20 minutes off. Stimulate two senses simultaneously, where one of the senses is either smell or touch. Keep changing the stimulation. If a child must be exposed to a loud noise, allow him or her to turn the noise on several times, to combat the feeling of being startled by it. Try “squeeze machine” therapy a couple times a day for 15 minutes, such as sandwiching a child between two bean bags. This strategy helped Grandin combat anxiety. Try to desensitize autistic children to touch so they will enjoy hugs as an expression of kindness. Use a heavy, steady touch, which is calming. Teach fractions by showing a whole object (such as fruit) cut up, with the fraction created from the pieces. Teach vocabulary with specific examples. For example, for the word “down”, introduce phrases such as “Walk down the stairs,” “A plane goes down and lands,” etc. Many special needs children do well when given the opportunity to work with their hands. Grandin suggests encouraging extracurricular activities such as maker clubs, 4H, and scouting. Grandin recommends visiting work places, and helping teenagers find mentors and jobs. “Students who have trouble communicating verbally can create a portfolio of pictures of their work so they can sell their skills, not themselves,” said Grandin. She recommends Google SketchUp as a free excellent tool for creating drawings. Even if your school no longer has vocational-technical classes, you still have power to help your student find a path to employment. An excellent resource is your county’s ISD (Intermediate School District). Vocational rehabilitation is a federal mandate, and ISDs often work with state agencies to place people in jobs. For example, in Michigan, county ISDs work with Michigan Rehabilitation Services (MRS) which has placed over 16,000 high school students in work-study, volunteer, or training positions each year. Keep an eye out for “transition counselors” who visit each school to sign students up for work-study programs. Or, simply contact your county’s ISD directly to find out more. As a school teacher, counselor, or administrator, you have the power to recommend a student’s enrollment in an ISD program. You can find out more about Temple Grandin by watching the movie Temple Grandin (available for free on Amazon Prime) and by visiting her website, www.templegrandin.com. Tagged autism, employment, Temple Grandin. Bookmark the permalink.